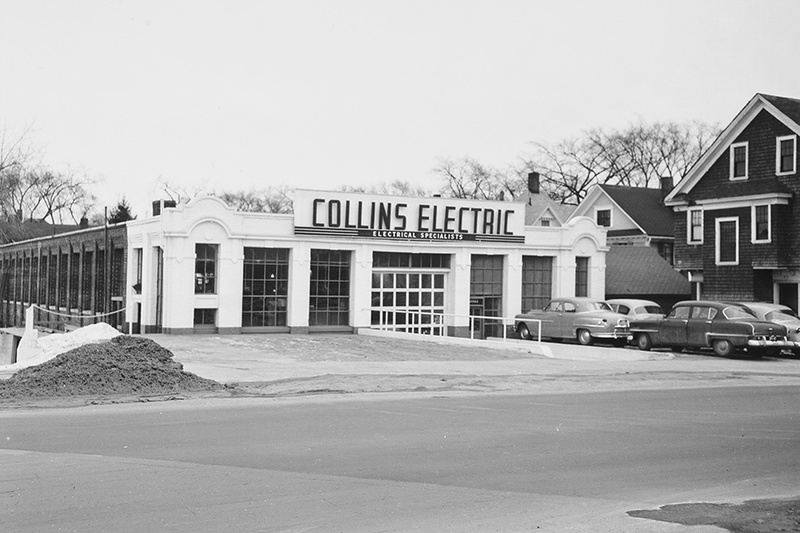 Collins Electric Company was founded in 1906 by John J. Collins, who held a degree in electrical engineering from St. Francis College. The firm's earliest work was converting homes in Springfield from gas light to electricity. During this time, materials were delivered to each jobsite by horse drawn wagon and apprentices of the company were tasked with shoveling out horse stalls! 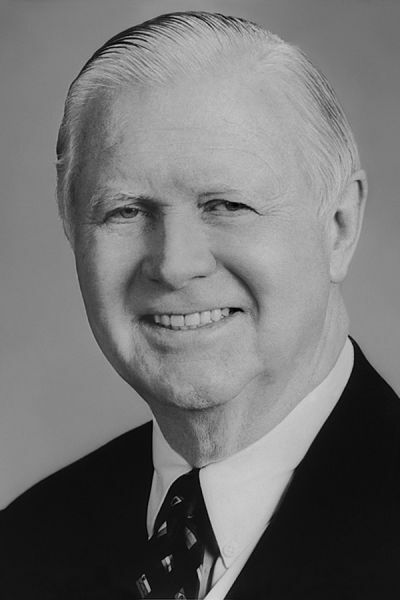 In 1911, John persuaded older brother, Timothy, to join the firm and in 1919, William P. Collins joined and became the general manager. 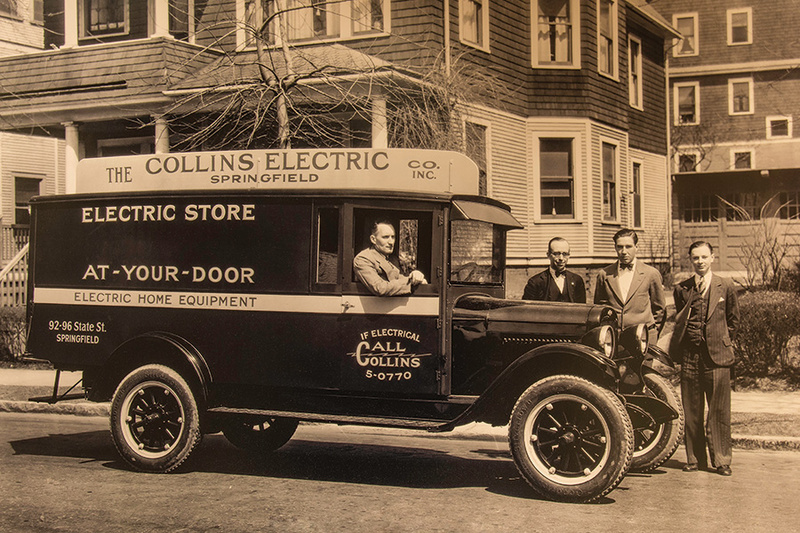 In 1939, Collins Electric installed the first fluorescent lighting system in the world at the Springfield Armory. In fact, during World War II, the company rewired most of the Armory, which needed to modernize quickly for the war effort. 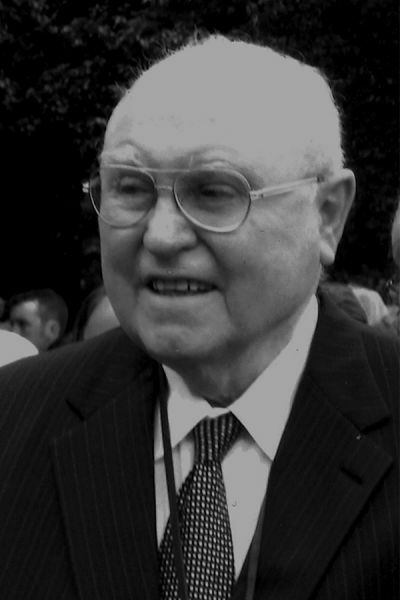 William P. Collins passed away in 1950, and it was at that time that William A. and Donald, his two sons, came into the company. Through the 1950s and 1960s, the company grew and prospered and began to get involved in increasingly larger and more demanding projects. Collins wired the entire Tower Square project, then called Baystate West, the newly constructed 370-foot tower gracing the Springfield skyline. The 1980s witnessed the building of Monarch Place and the Sheraton Hotel in Springfield, and numerous projects for General Electric in Pittsfield. In addition to seeing a boom in educational, medical and computing facilities throughout the 1990s, Collins also saw an uptick in green buildings with tie-ins to cogeneration and solar. 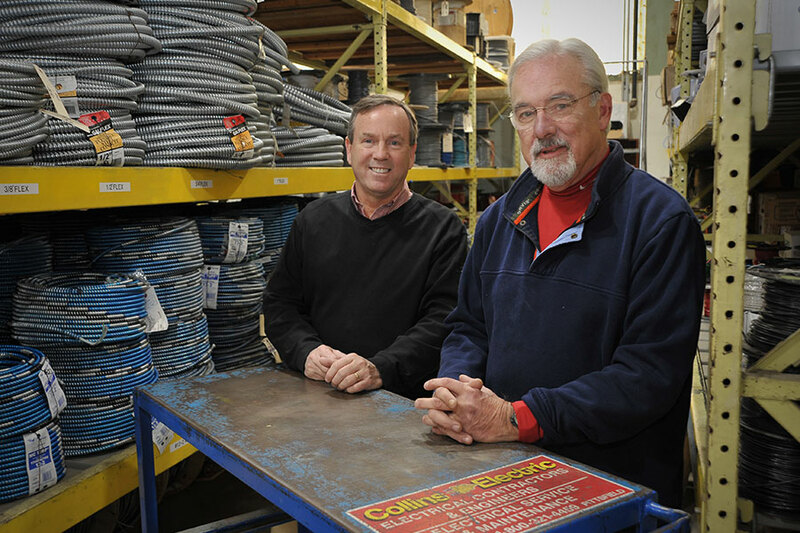 Today, Joseph Collins and Larry Eagan, co-presidents (the fourth generation of the Collins family to run the firm) carry out William P., William A. and Donald F. Collins’ legacy of providing high-quality, full-contractor services to commercial, industrial and institutional facilities across western Massachusetts.